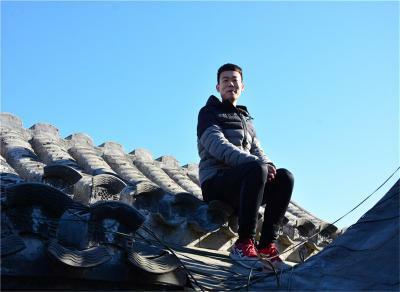 The place is on a sketchy street and area, China in general is safe but this location was in the meddle. Very close to public transportation which is a plus. 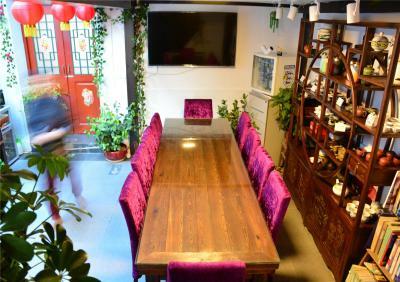 The BeijingSiheju Courtyard Hotel is a welcoming, family-owned business, nestled strategically in one of the more vibrant hutongs, close to the heart of Beijing. 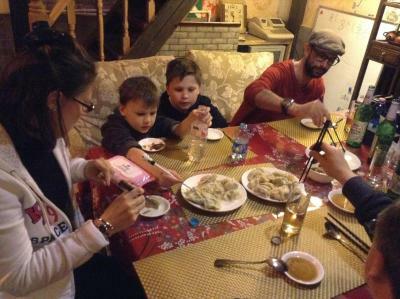 We were personally welcomed by the owner and her son, and given every accomodation that we asked for. Although this historic family house is over 100 years old, the owner has done an excellent job of updating the facilities. 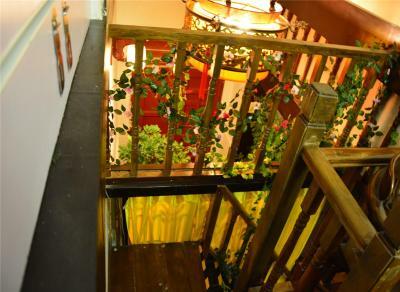 The subway (Xisi station) is literally within a few hundred feet of the frint door and adfords easy access to spectacular historoc landmarks like Tantoring Park or the Forbidden City. 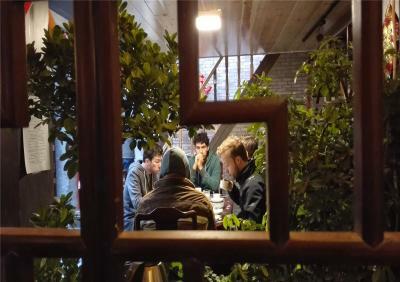 This hotel/family home offers an affordable alternative to weary travelers looking to restore themselves and experience the art and culture of Beijing. We liked this Bed and Breakfast the best of all the places we stayed at on our trip. The owner and staff made us feel like part of the family. The rooms were small, but comfortable. They were centered around a courtyard full of couches where you could hang out and mingle with other guests. The staff also helped us book a trip to the Great Wall. They have access to show tickets and other tours too. Again, we really enjoyed our stay here. Nice family run little courtyard hotel. Great value for money, but not luxury. Excellent location and staff was VERY helpful. 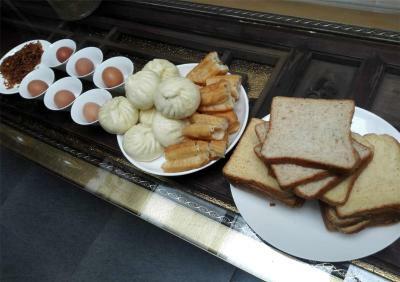 Breakfast was great and worth getting up early for. The owner was friendly and had great English. 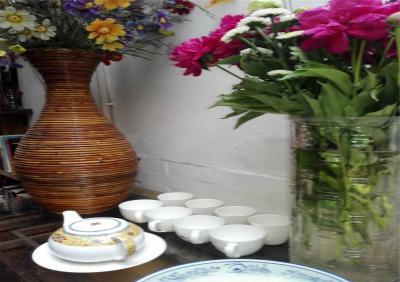 The staff was very service minded and the courtyard served a very nice Chinese breakfast. Also the property was very close to Xisi metro station. 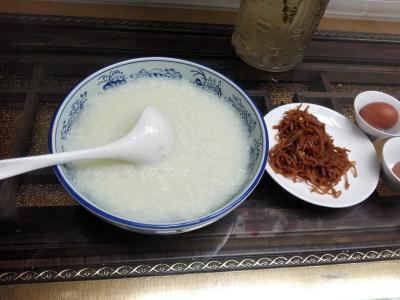 Unique “traditional” houtong. Close to the subway. This is a quaint and personable hotel. 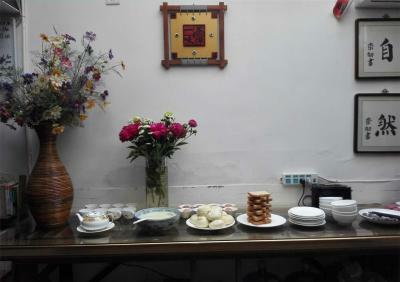 We were greeted with a nice tea ceremony and it was one of the most memorable parts of our trip. The manager and staff were awesomely warm, receptive and friendly. They became like extended family by the end of the week. 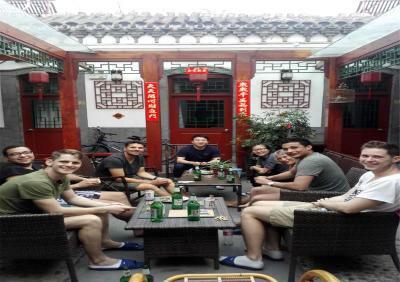 They helped us navigate the city and neighborhood, taught us some Mandarin, gave us directions and pointers, arranged a bus for tourist attractions to the Great Wall and Ding Tombs ( that was excellent ), and made traditional Chinese breakfasts in the morning that were very tasty. It was a wonderful cultural experience. Only a 5-minute stroll from Xisi Subway Station (line4), Beijing Siheju Courtyard Hotel is located in a classic Beijing courtyard. 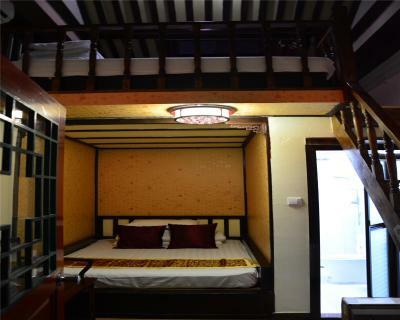 It features rooms with traditional interiors and free Wi-Fi access. 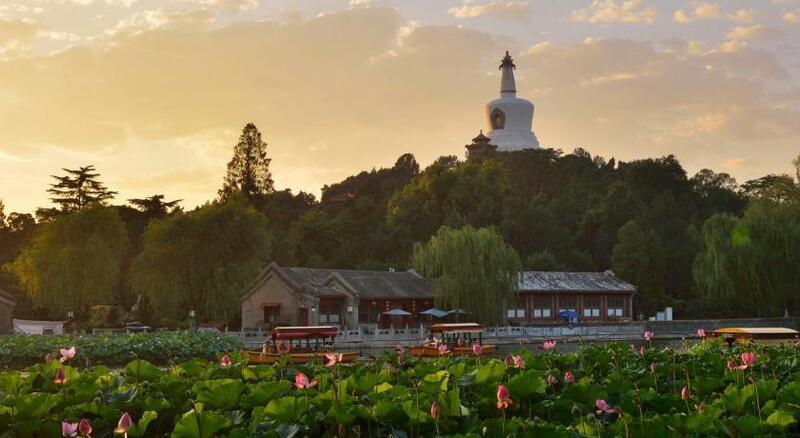 Siheju Courtyard Hotel Beijing is 3.1 mi from many attractions like Tiananmen Square, Forbidden City, Houhai and Nanluoguxiang. It is 5 mi from Beijing Railway Station. Capital International Airport is 19 mi away. Fitted with old-style wooden furnishings, rooms here also include air conditioning, heating, a TV and an electric kettle. Garden views can be enjoyed in all rooms. Guest can rent bicycle to explore the surroundings, or just have a relax in the garden. Car hire and luggage storage are possible at the 24-hour reception. 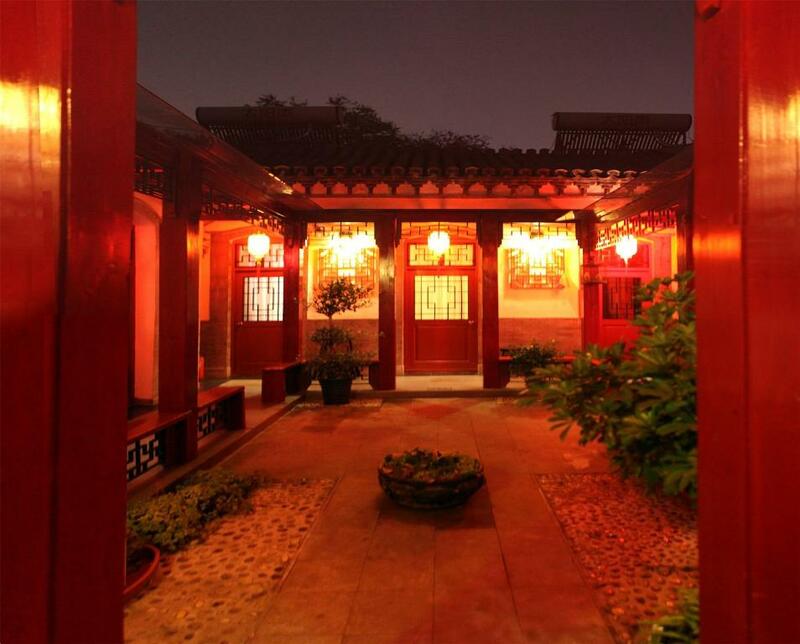 When would you like to stay at Beijing Siheju Courtyard Hotel? Offering a garden view, room features air conditioning, heating, a TV and an electric kettle. A bathroom is included as well. Offering a garden view, this room features 2 queen-size beds, air conditioning, heating, a TV and an electric kettle. There is a private bathroom as well. The room cannot accept an extra bed. This suite enjoys a garden view. Air conditioning, heating, a TV and an electric kettle are provided in the room. There is a private bathroom attached. Located on the top floor, room features glass roof, air conditioning, an electric kettle and a private bathroom. The room can accept an extra bed. This triple room has a balcony, tile/marble floor and dining area. Only adults and children who are over 15 years old can stay in this room. Each bed can accommodate up to 1 person. This bed in dormitory features a balcony, air conditioning and dining area. This bed in dormitory has a balcony, electric kettle and dining area. This double room features a balcony, washing machine and electric kettle. This quadruple room has a balcony, patio and air conditioning. 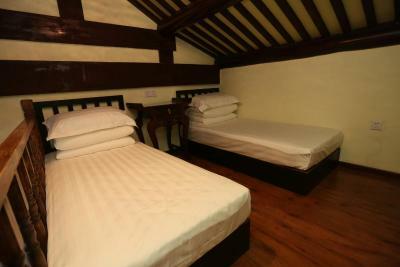 This double room has air conditioning, seating area and washing machine. This triple room features a seating area, air conditioning and washing machine. This twin room features a seating area, washing machine and air conditioning. This triple room features air conditioning, washing machine and seating area. Area Info – This neighborhood is a great choice for travelers interested in convenient public transportation, architecture and old-town exploration – Check location Great location - show map Guests loved walking around the neighborhood! House Rules Beijing Siheju Courtyard Hotel takes special requests – add in the next step! 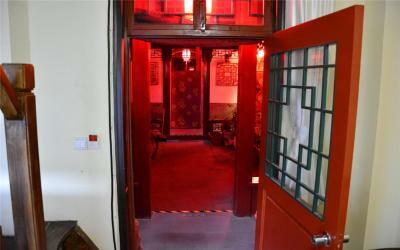 Any additional older children or adults are charged CNY 130 per night for extra beds. Beijing Siheju Courtyard Hotel accepts these cards and reserves the right to temporarily hold an amount prior to arrival. Please be noted that children whose height are under 3.9 feet can stay in the double bed with parents for free. Children whose height are above 3.9 feet will be charged the same price as adults. 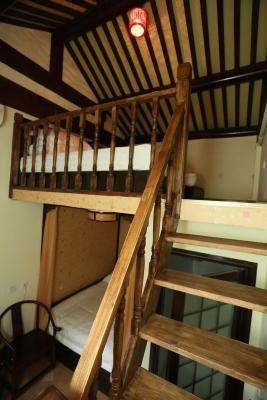 Extra bed price is CNY 120 per night. 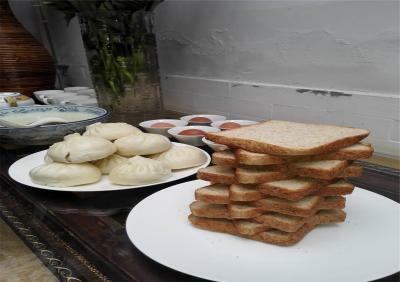 Breakfast is excluded. 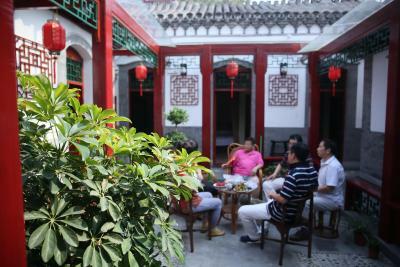 Please inform Beijing Siheju Courtyard Hotel of your expected arrival time in advance. You can use the Special Requests box when booking, or contact the property directly using the contact details in your confirmation. Size of room was ok. Room was clean. Bed linen & sheets were little old. Could be improved, otherwise excellent cleanliness. The room was cold because of heater doesn't work and the owner sayd it was under maintenance. Perhaps there were some mistake that booking.com let me to reserve. But my family have survived to staying in the hotel. 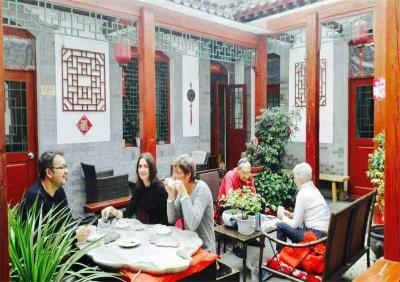 Good place to experience and see the old Beijing area. Easy access: - Around 5 minutes walk to the Xisi Station (Line 4). 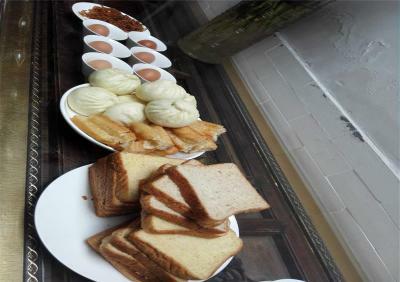 - It takes about 16 minutes walk to the Huguosi Street - Snack Street Staff: - The front counter staff are helpful and friendly. 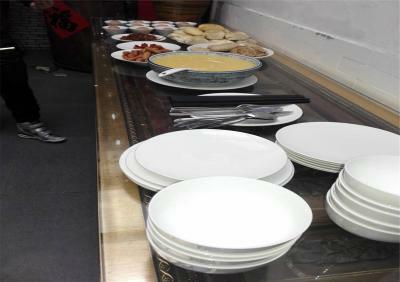 Food: - Easy to get Halal food. - There is one halal restaurant across the main street. - One of the nearby supermarkets sells halal foods. - In a short distance away, there are a lot of convenience stores. Sound insulation is poor. Not much spare space. One of the reception (the boy who was staying CPA) is super friendly and helpful. The rest are fair. The toilets were not very clean and the flush didn’t work for us for a while. Not really western standard. The flat was cold and not the cleanest. 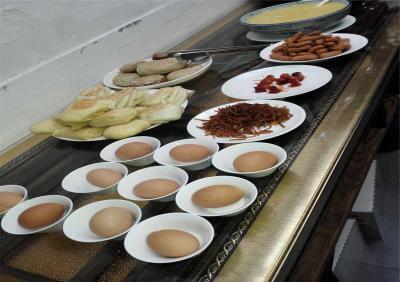 I had the breakfast one time (1 egg with 2 little breads and tee). The shower was next to the door so all the time I had to go to the bathroom I walked through the wet floor. I decided to leave one night earlier to another hotel near the airport. The place is on a sketchy street and area, China in general is safe but this location was in the meddle. Very close to public transportation which is a plus. The bad thing is that pictures do not reflect the reality of the property. Building is old and dated, no clean at all, we had a room for 3 and it was a lot of dust and spiders over a bed/second floor. The patio is way too smaller from the pictures and the add also offer tea ceremony which was not even mentioned, but the place don't luck inviting anyway. Price was not the cheapest and we expected something better. I will not recommend this property to anyone. Unless is no other option due to location or desperation. The staff was friendly , they doing their job, but even the lobby was very dirty and not inviting at all. The family who runs this was so welcoming. 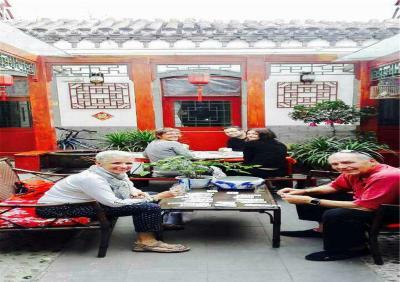 We had a very comfortable stay and they held our luggage until our train left so we could continue to tour Beijing. We got the quadruple room. 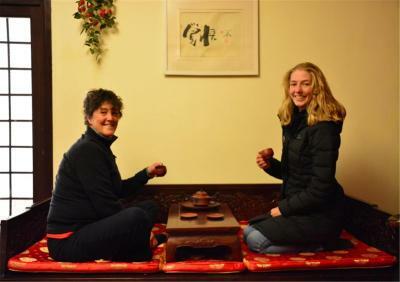 For everyone visiting Beijing for the first time I recommend getting this experience. It is also very close to the subway so it is easy to get around.